Currently it is illegal to transfer banned breeds to a new keeper, which forces animal welfare charities to euthanise dogs of these breeds, regardless of their temperament. Vets and animal welfare charities have said they are “disappointed” that the government will not review breed specific legislation (BSL), which makes it illegal to own four types of dog. 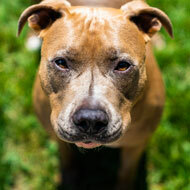 The government recently responded to an inquiry by the Environment, Food and Rural Affairs (Efra) Committee, which called for an overhaul of Section 1 of the Dangerous Dogs Act, also known as BSL. Critics have called for the ban on certain breeds to be overturned, as evidence suggests it is harmful to dog welfare and has failed to protect the public. However, the government said the ban will remain in place ‘for reasons of maintaining public safety’. The Efra Committee recommended an overhaul of the ban on transferring Section 1 dogs to new owners. Currently it is illegal to transfer banned breeds to a new keeper, which forces animal welfare charities to euthanise dogs of these breeds, regardless of their temperament. Responding, the government confirmed there are no plans to review this legislation, so the law as it stands will remain. However, the BVA, Efra Committee and numerous animal welfare charities welcomed other aspects of the government’s response, including its commitment to develop a plan of action to teach children about safety around dogs. The government also said it has commissioned research projects to advise on improving responsible dog ownership and to assess the effectiveness of current dog control measures. It will also look at developing a centralised database of dog bites, their severity and circumstances. Efra Committee chair Neil Parish MP also welcomed aspects of the government’s response, but added: “There is much more work to be done to create a truly fair system. There must be more focus on the owner and not the breed. The destruction of a dog based purely on its breed is cruel and often unnecessary.